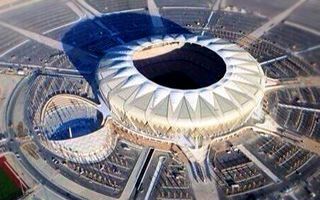 King Abdullah Sports City Stadium was initially planned for delivery in late 2013, but the first quarter of 2014 passed on furnishing and installation works. Now finally a date has been set for opening and special celebrations are planned. Essam Tawfiq, General Director of Public Affairs at Aramco told the media that the state-of-the-art stadium is ready to host football matches. “The official opening will be on May 1 when the stadium will host the final of the Custodian of the Two Holy Mosques Cup." “In addition, we have planned a huge inauguration ceremony, celebrating the official opening,” he added. He also announced that the spectators will be able to witness an exciting show by famous Saudi singers and the ensuing fireworks will add more color to the festive atmosphere. But perhaps most impressively, the stadium was confirmed to be delivered within the extremely tight time frame of just 14 months! This stands as a record for a ground of this magnitude and was only possible to achieve with 8,400 workers in around-the-clock mode.